Gr. garos or garon , MEng fish pickle, Eng. garum, a Mediterranean fish sauce or paste, the liquid resulting for the fermentation of the intestines and other discarded parts of the fish. Garum is not a dish in itself but a concentrated condiment like bullion added to dishes today. It was indispensable in cookery and was the basis for various dishes to which liquids and solids were added including lettuce, onion, apples, figs, pates and fish, and in marinades. It was used in cooking around the Mediterranean and Europe during the Ancient and Middle Ages. Large fish, such as mackerel, tuna, sturgeon, salmon, eel, herring and sardines, were cut into pieces. Small fish like gray mullet, red mullet and anchovies were left whole. Various combinations of aromatic herbs (such as dill, cilantro fennel, celery, savory, oregano, betony, poppy seed, rue, mint, basil, cinnamon, coriander, pepper, nutmeg, anise, fennel and thyme) were added sparingly as per local recipes and availability. These were placed in a trough like that used for kneading dough. To this two Italian sextarii (0.547 kg) of salt were added to each modius (dry measure of grain approx. 6.7 kg. or 1/3 of an amphora) of fish. This was stirred to thoroughly mix the fish and salt. Then it was left to sit for one night and transferred to a clay vat (26-35 quart capacity), which was placed uncovered in the sun for several days or months and stirred various times a day with a wooden instrument. Fermentation took place as the enzymes containing glutamate, an animo acid in fish inner parts, digested fish guts and flesh. The fish liquefied and a lumpy brine formed. The salt in the meantime acted as a preservative. The mixture then was strained through thick handmade baskets from which the liquid ran off. The residue, called, called allec, was used also but considered of poorer quality although very nutritious. All was bottled in an amphorae, sealed, and stored. Like wine, oil or ketchup, although it can be made in the kitchen, garum was prepared in industrial areas for trade that became a source for wealth for producers and merchants. In the 5th C B.C. Phoenicians began to defuse garum along the Mediterranean. Factories were established by them along the Bosporus strait between the Aegean, the Black Sea, the strait between Sicily and Tunis (territory named for tuna fish as Sardinia for the sardine) and the Gadizian Straits of Gibraltar, the passage from the Atlantic Ocean to the Mediterranean. All of these straits are natural traps which provide for the capture of marine species on a large scale. Factories were built on coasts at the mouth of rivers, providing fresh water for cleaning and brining and were close to salt supplies from mines or marshes. The largest installation on the western Mediterranean was at Lixus, on the Atlantic coast of Mauretania (Morocco). In Iberia factories were established between Cartagena and Lisbon. 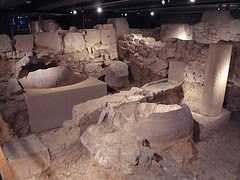 Particularly famous in Spain were those located in Baelo Claudius (today Bolonia), a village near the city of Cadiz with salting pits in the town, Almuñécar, Granada, Adra, Almeria and Cartagena, Murcia. The largest production and the most extreme varieties that came about during this period were from Gadizian coasts. Their garum was exported throughout the Mediterranean and the rest of Europe dependent on garum for cooking and food preservation as seen in Apicius’ cookbook. By the 1st C BC, it was widespread. Often garum was used for medical purposes, for example to ease indigestion. Women especially used garum against rickets. Rhazi, in the 10th C., thought garum good for smallpox and restoring good humors. Garum paste was said to relieve burns. The hayday of garum came about during the Early Roman Empire when luxury was introduced by wealthy families who brought about the introduction of new products on the market and with the proliferation of new cities where major markets for these products were created. 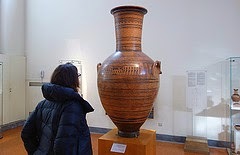 During the early Middle Ages Levante, Sicily and Andalusia and the rest of Europe were heavily dependent on garum and its bi-products for cooking. 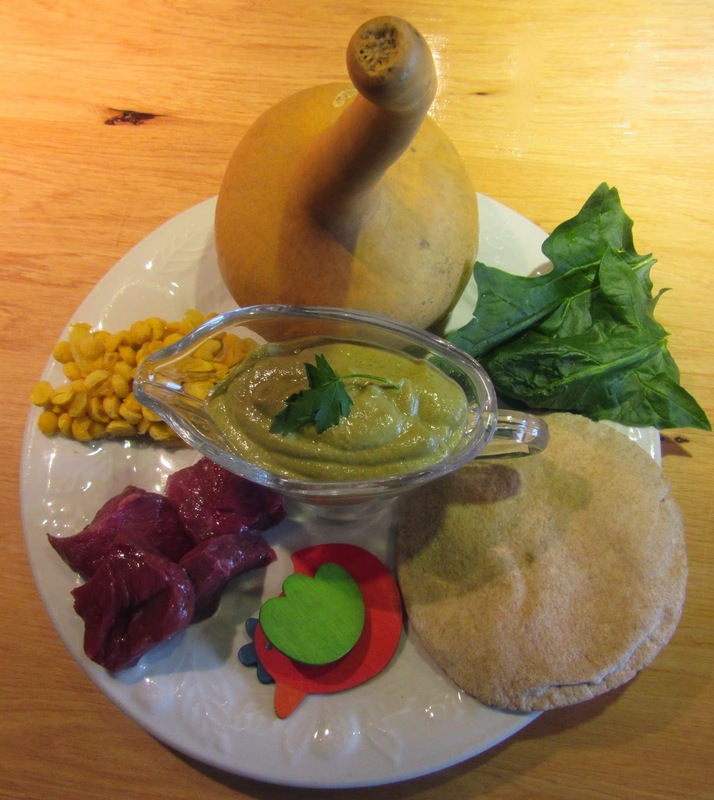 Hispano Muslims, Jews and Christians inherited the Roman diet and their preference for this condiment. Azcoytia maintains it would be practically impossible to make garum according to original recipes today for the requirements of fermentation, ventilation and the hours that the mixture must be exposed to the sun. He does not believe that what is sold today as "garum" is like the original product. 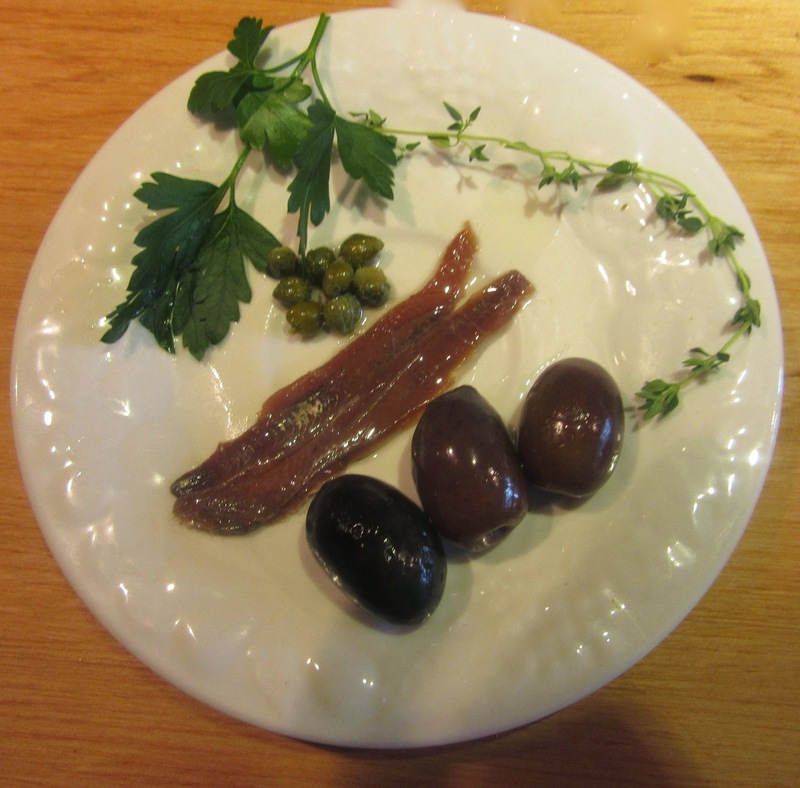 (A black olive and anchovy spread available in many parts of Spain today is sold as “garum”). He explains that making real garum was a very costly process and so complicated that only the affluent could afford it. Finally he notes that probably we wouldn't like it. Also see almorí, alosa, aloxa, budhaj, garo, hídromel, liquamen, muria, nouc-man salsugo, ventresea and vicias. 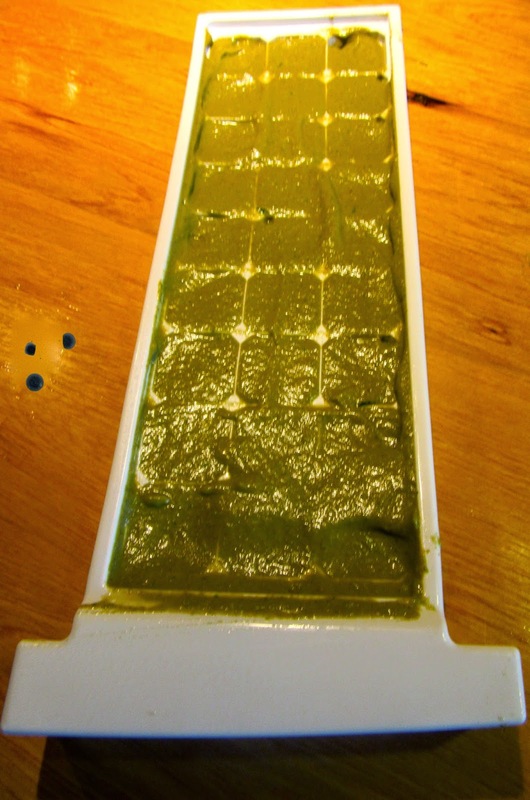 to Make "Roman Bullion Cubes"
Mix all ingredients together in blender or food processor until light and fluffy. Puree the mixture in a food mill or push it through a sieve with a wooden spoon. 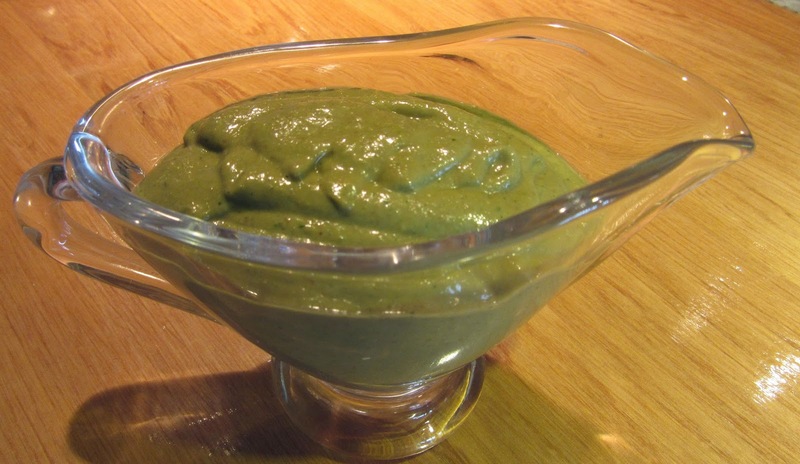 Return to the blender or food processor and process briefly to obtain a smooth paste. Note: Do not substitute fresh herbs with dry as they will not puree properly, either omit, experiment with other fresh herbs or increase the amounts of parsley.